Thanks to your feedback, Swimia has turn into in just several months one essentially the most critical internet sites of swimming pools. Here you could have all the info we know about Hallenbad Buchen, in Buchen. 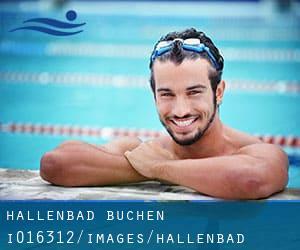 Don't neglect you can also promote this pool so Hallenbad Buchen will appear the first of Buchen, or even the very first of your country, get in touch with us to know far more. Swimmers like you reported 25 meters x 12 meters, Indoors. Unfortunately we do not have the email address of this Pool, but we can provide you with the phone number. Updated on 2019 Panoramaweg 6 , Pfalzgrafenweiler , GERMANY (Postal Code: 72285). Among all the activities provided by the center, for anybody who is enthusiastic about swimming you can expect to enjoy 25 meters x 10 meters, Indoors. Just in case you want to contact this Swimming Pool before dropping by, we only know the phone number. Updated on 2019 Mannheimer Staße 11 , Sportstättenbau , Weinheim , GERMANY (Postal Code: 69469). Few days ago a common user of this center told us they offer 25 meters, 5 lanes, Indoors. Furthermore, they keep in good conditions 25 meters, 4 lanes, Indoors. Contact facts for this Pool like phone number and email address are number. Updated on 2019 This sports center offers 25 meters x12.5 meters, Indoors. For this Swimming Pool, only phone number is number here. Updated on 2019 Bergstraße 30 , Waldbronn , GERMANY (Postal Code: 76337). This sports center offers 25 meters, Indoors. For this Swimming Pool, only phone number is number here. Updated on 2019 Festplatz 1 , Karlsruhe , GERMANY (Postal Code: 76137). This sports center provides 28 meters x 11 meters, 0.5 meters - 2.8 meters depth, 0.5 meters - 2.8 meters depth, Indoors. For this Swimming Pool, only phone number is number here. Updated on 2019 Enztal-Gymnasium , Paulinenstraße 30 , Bad Wildbad , GERMANY (Postal Code: 75313). Swimmers like you reported 25 meters x 8 meters, Indoors. Unfortunately we do not have the email address of this Swimming Pool, but we can give you the phone number. Updated on 2019 Gerberstraße 4 , Pforzheim , GERMANY (Postal Code: 75181). Among all of the activities supplied by the center, should you be interested in swimming you can expect to delight in 25 meters x 15 meters, Indoors. Just in case you would like to contact this Swimming Pool prior to dropping by, we only know the phone number. Updated on 2019 Badstrasse 33 , Altensteig , GERMANY (Postal Code: 72213). This sports center delivers 25 meters x 10 meters, Indoors. For this Swimming Pool, only phone number is number here. Updated on 2019 Marguerrestr. 11 , Mannheim , GERMANY (Postal Code: 68199). Among all the activities offered by the center, should you be enthusiastic about swimming you'll enjoy 25 meters x 12.5 meters, Indoors. Just in case you want to contact this Swimming Pool before dropping by, we only know the phone number. Updated on 2019 Vogesenstrasse 22a , Forchheim , Rheinstetten , GERMANY (Postal Code: 76287). Among all the activities supplied by the center, for anyone who is enthusiastic about swimming you might appreciate 25 meters, 5 lanes, Indoors. Just in case you would like to make contact with this Swimming Pool just before dropping by, we only know the phone number. Updated on 2019 Gerhart-Hauptmann-Strasse , Dossenheim , GERMANY (Postal Code: 69221). Among all the activities offered by the center, should you be enthusiastic about swimming you will appreciate 25 meters x 12.5 meters, 5 lanes, Indoors. If you'll want to get in touch with this Pool, email address and phone number are both number. Updated on 2019 Luisenstrasse 14 , Ettlingen , GERMANY (Postal Code: 76275). This sports center delivers 25 meters x 12.5 meters, 5 lanes, Indoors. Contact facts for this Swimming Pool for instance phone number and email address are number. Updated on 2019 Friedrichstraße 1 , Waghaeusel , GERMANY (Postal Code: 68753). Swimmers like you reported 25 meters, 5 lanes, Indoors. Unfortunately we do not have the email address of this Swimming Pool, but we can give you the phone number. Updated on 2019 Unterfeldstrasse 46 , Karlsruhe , GERMANY (Postal Code: 76149). Swimmers like you reported 25 meters x 8 meters, 0.9 meters - 3.5 meters depth, 0.9 meters - 3.5 meters depth, Indoors. Unfortunately we do not have the e-mail address of this Swimming Pool, but we can provide you with the phone number. Updated on 2019 Schillerstraße 8 , Gechingen , GERMANY (Postal Code: 75391). Swimmers like you reported 25 meters x 8 meters, 3 lanes, Indoors. Phone number and e-mail address are number for this Swimming Pool.